Jonathon Robinson has been religiously tuning into the NCAA March Madness basketball tournament on television looking for ice hockey. No, the 20-year-old San Diego native isn’t confusing this month’s basketball fest with next month’s NCAA Frozen Four hockey tournament. He’s been checking out the basketball games to see if a television commercial that debuted during last year’s March Madness and featured him playing hockey is airing again during this year’s tournament. Jonathon Robinson calls TV commercial one of the best moments in hockey career. Robinson was the black hockey player in an ad for Powerade, a Coca-Cola brand sport drink, that generated a lot of buzz last year for challenging athletic and societal stereotypes. The 31-second spot featured quick cuts of athletes seemingly against type: a smallish basketball player going strong to the hoop; a slow defensive football player attacking a quarterback; and a female wrestler preparing to do battle against a male opponent. A year after the commercial premiered, Robinson remains thrilled that he had the opportunity to be in it and proud of the message – beyond selling a product – that the ad tried to convey. Robinson’s pursuit of a hockey career has taken him from California to Washington, Saskatoon, Swift Current, Atlanta, Coquitlam, British Columbia, Des Moines and back. He’s been through an alphabet of leagues – the British Columbia Hockey League, the North American Prospects Hockey League, the Western States Hockey League, the Tier 1 Elite Minor Midget Hockey League and tryouts with Western Hockey League and United States Hockey League teams. At 14, Robinson was an 11th-round draft pick of the WHL’s Saskatoon Blades in 2008. Doug Molleken, head scout for the Blades, told Canwest that he liked how Robinson skated and marveled how strong he was in with the puck in the corners of the rink. But an injury kept him from competing in training camp, which helped launch his search for a hockey home. He had a 2011 tryout with the WHL’s Swift Current Broncos. At 20, he finished the 2013-14 season playing for the WSHL’s Lake Tahoe Blue and now finds himself at the crossroad of his hockey career. 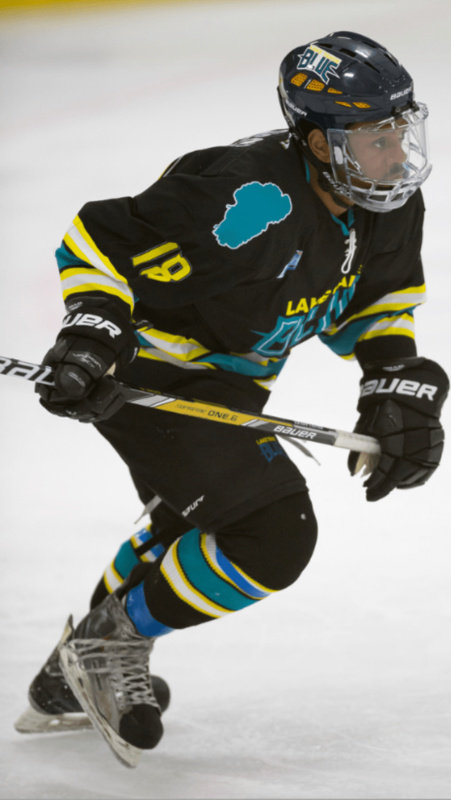 Robinson, skating for Lake Tahoe Blue, has been on a multi-city, multi-league hockey journey. Robinson put his hockey dreams on hold in 2012 after he father, Rick, suffered a series of stokes. He moved from California to Arlington, Va., to help provide for his family while his father recovered. Whenever he had time, Robinson tried to stay in hockey shape by attending stick and puck sessions at Virginia’s Kettler Capitals Iceplex, the practice facility of the National Hockey League’s Washington Capitals. Robinson temporarily halted his hockey career when dad suffered series of strokes. And it was a good thing that he did. In January 2013, Robinson received a phone call from a friend in California who told him about auditions for the Powerade commercial. When he arrived at the casting call, Robinson said he found about 25 other black hockey players and actors vying for the role. The early exposure to the film business helped Jonathon land a cameo role in an episode of the old NBC hit series “Friends” in which he kicked Ross – played by actor David Schwimmer – in the face. tryout with the USHL Des Moines Buccaneers. He received a callback for the commercial during the tryout with instructions to scurry back to Hollywood ASAP. Elated, Robinson caught the next flight to California – leaving his hockey equipment behind in Des Moines. Robinson recalls spending 12 hours on the ice shooting the commercial at the Pickwick Ice Center in Burbank and doing about 40 takes on just one scene that required him to check an opposing player hard into the boards. These days, Robinson is working on the Phase Two of his young life. He plans to enroll in college this summer to study cinematography. But hockey still isn’t out of his system. He hopes to coach or teach at hockey camps. “I want to coach kids, youth hockey players, be able to bring them up, and help them chase their dreams,” he said. 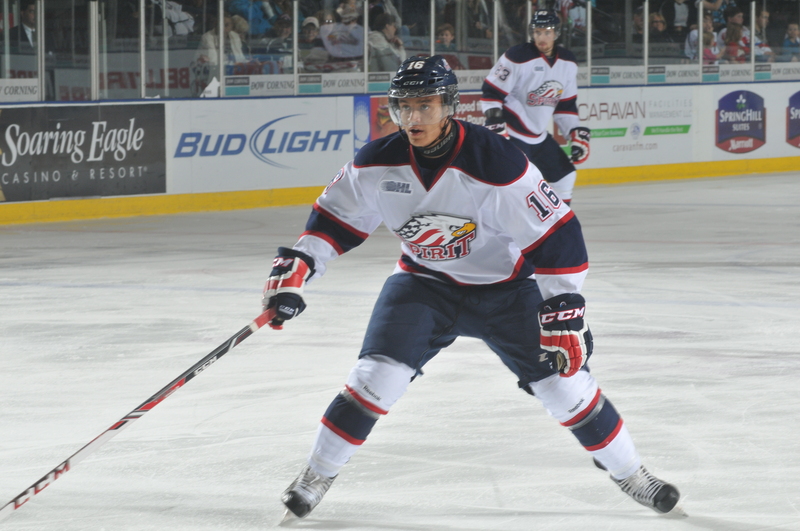 Terry Trafford, a center for the Ontario Hockey League’s Saginaw Spirit who had been missing for more than a week, was found dead on Tuesday, team officials announced. Trafford’s body was found inside his vehicle at a Wal-Mart parking lot in Saginaw Township around 5 p.m. Tuesday, according to police. The cause of death wasn’t announced on Wednesday. Trafford, a 20-year-old from Toronto, was last seen alive on March 3 at the Dow Event Center where the Spirit practice and play games. His girlfriend, Skye Cieszlak, told Michigan’s MLive.com that Trafford was distraught about being sent home by the Spirit because of team rule violations. She told The Toronto Sun that the disciplinary action stemmed from Trafford allegedly smoking marijuana while on the road in Owen Sound on Feb. 22. Craig Goslin, the Spirit’s president and managing partner, confirmed to MLive that Trafford was sent home for breaking team rules. But prior to the team’s action, Trafford was living with Goslin and his wife, Karolyn. 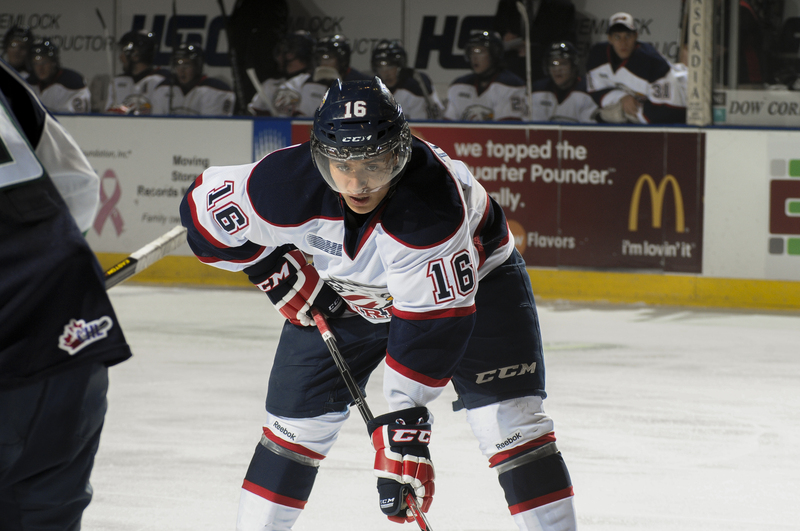 Trafford played four seasons with the Spirit (Photo/Saginaw Spirit). Trafford played 54 games for the Spirit this season and tallied 8 goals, 24 assists and 70 penalty minutes. In four seasons at Saginaw, he registered 29 goals, 49 assists and 182 penalty minutes in 221 games. Being a black ice hockey player in Great Britain in the 1980s wasn’t exactly a walk in Hyde Park. Eddie Joseph can attest to that. 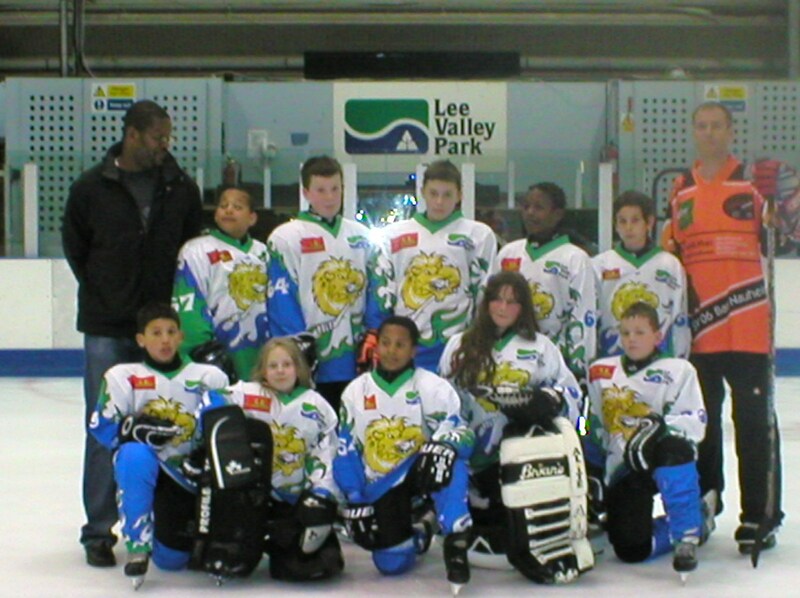 From player to coach, Eddie Joseph pays it forward with Lee Valley club. attitudes. When Joseph takes the racially and ethnically diverse East London youth hockey teams that he coaches on road games today people barely bat an eye. Joseph didn’t envision it when he retired from semi-pro hockey at the age of 32, but he’s a hockey lifer. When he’s not carrying a night stick as a London Metropolitan police sergeant, Joseph is holding a hockey stick and coaching kids ages 10 to 18 and teaching them to love a sport that he says he owes everything to. Joseph just wishes more folks on his side of the pond felt the same way. In the land of Big Ben, fish & chips, and One Direction, ice hockey is obscured by the large shadows cast by soccer, cricket, rugby, field hockey and tennis. Eddie Joseph, left, hopes his players grow up to teach their kids ice hockey. With a population of nearly 64 million people, Great Britain has only 6,798 ice hockey players, according to International Ice Hockey Federation statistics. Of that group, 2,289 are men, 3,815 are junior players, and only 694 are female. But as Canada gained independence from the monarchy, Great Britain’s hockey prowess faded. It hasn’t had an ice hockey team in the Winter Games since 1952. When Brits do think ice, most of them think figure skating, Joseph said. Robin Cousins, Tim Curry and the pairs team of Jayne Torvill and Christopher Dean brought Olympic Gold and notoriety to the country in recent decades. But that hasn’t stopped Joseph from preaching the gospel of hockey in his East London community and around the country. Joseph returned to hockey when his son, then 10, said he wanted to play the game. Joseph went to the Lee Valley where his hockey odyssey began only to discover that the game was no longer played there. After receiving coaching training, Joseph started a hockey program with about 15 children once a week. Today, Lee Valley has about 125 hockey players spread over five youth teams and an adult squad. About 25 percent of the players are minority – black, Asian, Arab and Jewish, Joseph said. Eddie Joseph, standing center, instructs some of Lee Valley’s young players. The hockey program draws many of its patrons from the East London/Hackney area, historically one of London’s poorest communities. Spending hundreds or thousands of dollars on hockey equipment and ice time isn’t the first priority for most families in the neighborhood. So the Lee Valley rink does what U.S. programs like New York’s Ice Hockey in Harlem, Washington’s Fort Dupont Ice Hockey Club, Philadelphia’s Ed Snider Youth Hockey Foundation and other non-profit NHL-affiliated “Hockey is For Everyone” organizations do and minimize the cost of the game for those interested in playing it. Lee Valley youngsters against a team from Slough. Joseph can identify with the needy patrons. He was a 14 year-old boy in the rough-and-tumble neighborhood when he and some mates walked into the Lee Valley rink, saw hockey, and were instantly captivated by a sport they never knew existed. No one confused Joseph for the next Wayne Gretzky. Between 1984 and 1993, Joseph tallied 54 goals, 68 assists and racked up 271 penalty minutes. He hopes the rest of Great Britain will, too, someday soon. Cyril Bollers, president and coach of Skillz Hockey, has been named an assistant coach for Ontario’s Under-16 hockey team that will compete in the 2015 Canada Winter Games. Cyril Bollers will help map X’s and O’s for Team Ontario at 2015 Canada Winter Games. Bollers will help Team Ontario Head Coach Drew Bannister,an assistant coach for the Ontario Hockey League’s Owen Sound Attack, guide a squad of some the province’s best hockey players under 16 years of age at the Winter Games, which are held every four years. David Schlitt, head coach of the Huron-Perth Lakers Minor Midget team, rounds out the Ontario hockey coaching staff. The 19-event sport festival will be held Feb. 13-March 1, 2015 in Prince George, British Columbia. The games have been a showcase for some of Canada’s best athletes including Pittsburgh Penguins forward Sidney Crosby, Tampa Bay Lightning forward Steven Stamkos, and Canadian women’s hockey Olympic Gold Medalist Haley Wickenheiser. 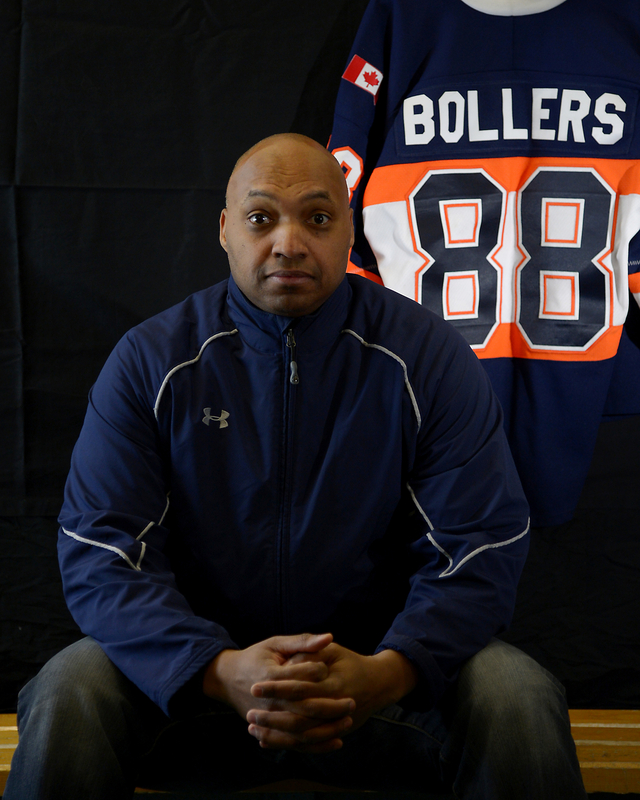 Bollers is president and head coach of Skillz Hockey and associate coach of the Markham Majors Minor Midget AAA team in the Toronto area. He is one of the few coaches of color in organized hockey. There currently are only two minority head coaches in the NHL – Philadelphia Flyers’ Craig Berube and Buffalo Sabres Ted Nolan, who are both First Nations. Paul Jerrard, who is black, served as an assistant coach for the NHL Dallas Stars last season. He’s an assistant coach this season for the American Hockey League’s Utica Comets, a Vancouver Canucks farm team. 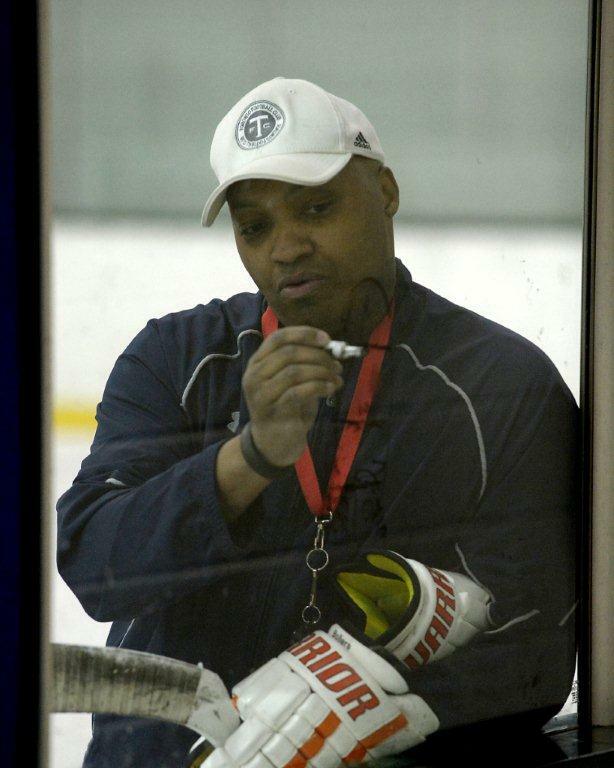 Darren Lowe, who is black, coaches the University of Toronto Varsity Blues men’s hockey team. Bollers hopes to join their ranks in the not-to-distant future. Bollers hopes that he and the kids he’s coached rise in pro hockey. Between Markham and his Skillz Black Aces and Black Mafia teams, Bollers has coached a stable of players – minority and white – who’ve gone on to successful major junior hockey careers and positioned themselves to become NHL players. Sault Ste. Marie Greyhounds defenseman Darnell Nurse, the Edmonton Oilers first-round draft pick last summer, Kitchener Rangers forward Justin Bailey, a Buffalo Sabres 2013 second-round pick, and Bellville Bulls defenseman Jordan Subban, the Vancouver Canucks’ 2013 fourth-round pick and brother of Montreal Canadiens defenseman P.K. Subban, all played under Bollers. And more of Bollers’ former players are expected to chosen in the 2014 NHL Draft in Philadelphia this summer. Josh Ho-Sang, a forward for the OHL’s Windsor Spitfires was listed as the 18th best North American skater in the NHL’s mid-term draft rankings last January; Brendan Lemieux, a forward for the OHL’s Barrie Colts and son of retired NHL player Claude Lemieux, was ranked 38th; Keegan Iverson, a forward for the Western Hockey League’s Portland Winterhawks, was ranked 64th; Owen Sound Attack forward Jaden Lindo was ranked 96th; and Colts forward Cordell James placed 126th on the NHL list. Everett Fitzhugh wants to be The Voice – the guy who shouts “goal!” when the home team puts the biscuit in the basket, the person who vocally paints a Picasso of what’s happening on the ice during a hockey game for those who can’t catch it at the arena or watch it on TV. 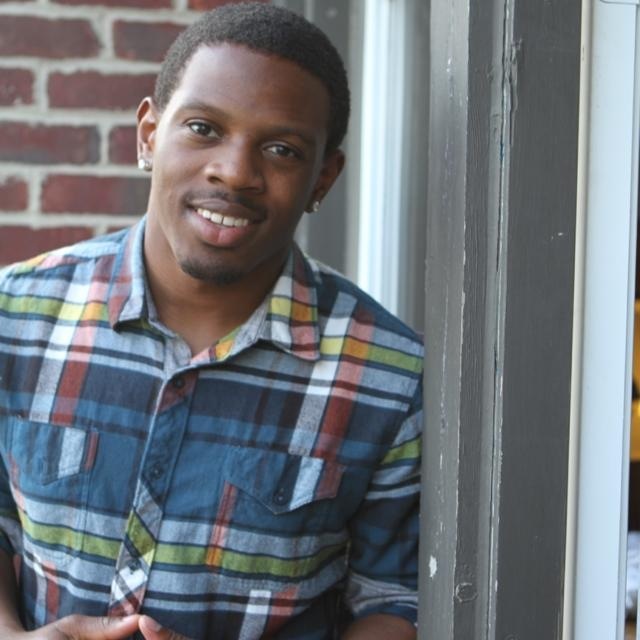 Fitzhugh aspires to be a National Hockey League radio play-by-play announcer, a career path not normally associated with 25-year-old African-American men. But Fitzhugh, a Detroit native who grew up spending cold winter nights listening to Ken Kal broadcast Detroit Red Wings games and lazy summer evenings hearing Ernie Harwell do Detroit Tigers baseball, is on a mission to join the small but growing club of NHL broadcasters of color. Calling Bowling Green hockey games while a student stoked USHL’s Everett Fitzhugh’s interest in being an NHL radio announcer. In the meantime, Fitzhugh is busy paying his dues. He attended Bowling Green State University – alma mater of Pittsburgh Penguins and U.S. Olympics men’s hockey team Head Coach Dan Bylsma – and did radio play-by-play for 120 games for the NCAA Division I Falcons men’s hockey team. He joined the United States Hockey League in 2012 and is manger of communications for the nation’s top junior hockey league that serves as a stepping-stone to college hockey or the NHL for many players. Working out of Chicago, Fitzhugh handles the USHL’s social media entries, press releases, YouTube posts and video highlights. The job often gets him out of the office and into the lock rooms of USHL teams. But more than anything, Fitzhugh wants to get back behind the microphone and call hockey games on the radio. Amber knows how Fitzhugh feels. He grew up in Toronto listening Toronto Maple Leafs broadcasts and thought that he, too, might be a play-by-play guy some day. “Hockey Night’s” David Amber sees diversity gains on the ice and in the media. But he gravitated to sports reporting instead. Now, he’s the pre-game, between-periods, and post-game presence on Canada’s equivalent of “Monday Night Football.” He’s pleased to see more minorities are on the air talking hockey and more people like Fitzhugh in the pipeline waiting for their break. And the interest of people like Fitzhugh to work in hockey reflects the increasing number hockey players of color and the growing impact they’re are having on the game from the USHL all the way up to the NHL, Amber said. But old stereotypes still die hard. Fitzhugh says people – both minorities and whites – occasionally do double-takes when he tells them what he does for a living and what his dream job is. Even among minorities. Fitzhugh says striking up a hockey conversation at his local barbershop can be a challenge. Or to have folks listen to his play-by-play account on the radio. Special thanks: to Color of Hockey follower and ChicagoSide Senior Writer Evan F. Moore who first reported on Fitzhugh.